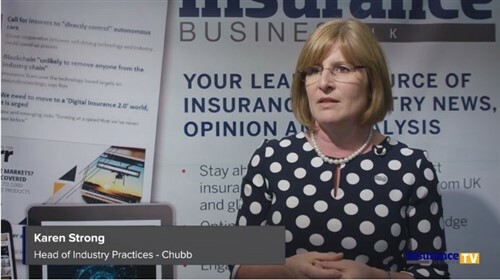 Consumer trust in the insurance sector has fallen under the spotlight in a massive way this year, and the market has had to ask itself some tough questions around how to gain back that valued customer trust in its services. Commenting on the latest Financial Stability Report, Reserve Bank of New Zealand governor Adrian Orr said that its level of concern around the insurance industry is “multi-faceted,” and that questions around things like behaviours and incentive structures were “complex issues” that will be examined closely in the coming year. He stated that while some issues are global, others are New Zealand specific, and the industry will no doubt be working tirelessly to change public perception in a country that so heavily relies on its support. According to Minister of Commerce and Consumer Affairs Kris Faafoi, who recently spoke at the Insurance Council of New Zealand’s annual conference, the industry needs to become more approachable to its customers in order to truly put them at the centre of each transaction. “A large part of trust comes from insurers treating consumers fairly and transparently throughout all of its interactions,” Faafoi stated. “I’m conscious that individual consumers often lack the knowledge and ability to engage and ask questions, and this makes it important for insurers to act in a way that takes each consumer’s situation into account. When it comes to evolving customer expectations and the implications for retaining their trust, Suncorp Group customer marketplace CEO Pip Marlow says that the process needs to start at the very foundations. “Before working in insurance, I heard many people talk about it as a grudge purchase,” Marlow said. “But ultimately, it’s companies like ours that are truly there in moments of need. Nonetheless, things are changing – customer expectations are changing, and the trust and transparency that we are required to have with our customers is changing. Marlow says that while consumers might historically have looked to big businesses to drive their behaviour, this is becoming less and less the case. With the advent of services like Trip Advisor or Google reviews, peer recommendations from ordinary consumers are becoming an increasingly important part of the equation – but that doesn’t mean that big businesses are absolved from creating and retaining customer trust. “When you engage with a customer, you need to understand what it is that they really want to do,” Marlow said. When it comes to measurable ways of improving the customer experience, Marlow pointed out some of the ways Suncorp gathers customer feedback and utilises it in improving customer interactions. “I always say to my team – progress over perfection,” Marlow said. “Firstly, we spend as much time as possible on the front line – in our leadership team meeting we listen to a selection of customer calls, which gives the opportunity for some people who don’t naturally get to interact with the customer to really put themselves into their shoes. We have continuous improvement programmes and we also use NPS, which is a great indicator of what a customer is feeling.